"Wow—what a great presentation... I hope I will get to hear Charlie speak again... He has got a great message." Some people have a special energy that enables them to inspire others and motivate them to take action. Charlie Fewell has this quality. If your sales meeting or management retreat program requires a rousing opening or thought provoking closing, Charlie can deliver the message and unify your employees in furtherance of a common theme or mission. He has delivered keynotes for national and international trade groups and for internal meetings for Fortune 100 and 500 organizations. Charlie specializes in helping your team to tune into their motivations and aspirations, and channel these into areas where they can fulfill these ambitions within your organization. Cultivational Leadership is the practice of growing and developing the members of your team, so that they can amplify the gifts they have brought to the organization, providing them with the resources and inspiration to fully realize the potential that lies within. Cultivational leaders look past the façade and ask their working partners "how can I help you succeed in your life?" They also set clear expectations of performance, define achievable goals, and promote the capabilities and accomplishments of the members of their team so that they feel valued and celebrated for their good work. Cultivational leaders also have a very clear understanding of what success is, and have a penlight focus on what they need to do and should be doing. These leaders have gone through the self-discovery process so that they are in touch with their own strengths and weaknesses, and have attained a level of personal development that positions them to mentor others and share their perspective. In this presentation, Charlie will provide a leadership model that enables you to assess your team, collaborate with them in the development of a plan that optimizes the skills and capabilities of the individual members, and implement a plan of action that will empower your business to exceed its goals. Companies that are all about quick can strategize, design, and implement so that they never stumble out of the gate. In a highly competitive environment you've got to be quick. Successful companies have a business plan, repeatable processes, a viable structure, including a sustainable financial model, and an anticipatory approach to satisfying their customers' needs. These are the things that drive quick. This presentation will reveal the core components that will enable you to respond quickly to customer needs, make quick decisions, and formulate the strategies that will enable your business to quickly out-compete your competitors. Successful companies have sustainable relationships with all of their partners in the distribution network and have the energy to maintain these relationships everyday. Effective business leaders can deal with any relationship issue that comes up. Even if the message is something they don't want to hear. They desire the dialog. How do they do it? They Fewell-Inject the relationship. Fewell-Injected communication is the willingness to participate in open, honest dialog that creates trust. It is proactively seeking to connect with others. It is knowing how to transfer information and emotion. Great communicators feed off the dialog and get energy from it. Great communicators find renewal in the exchange and the interconnectedness. In this presentation participants will learn the basic methods to create connectedness (relationships) with the necessary people who drive business results. The most successful sales people never make an irrelevant presentation to a prospect. The way they determine relevance in the buying/selling event is to L2U their customers and prospects' perceptions, needs, requirements, and wants. The superstar sales person is going to investigate and understand these needs before they ever make any kind of presentation. L2U means listening to understand. It is the willingness to listen with such intensity and patience that you fully understand the other person's perspective. And until you understand, you dare not present for fear of losing the opportunity. You must be sure that what you have to say is relevant. In this presentation Charlie will reveal a selling model that will show you how to slow down to go fast so that you are hitting your numbers and delivering the results that will take your career into the stratosphere. Profitable companies enjoy high levels of customer retention and are joined at the hip with the people with whom they do business. These companies measure the quality of these relationships at every point of contact. Charlie Fewell suggests customer connectedness is measured in momentos: muy simpatico momentos. The word simpatico does not translate perfectly into English. The closest we would come is with the word empathy. But simpatico has the added flavor of the interconnectedness or the importance of understanding and appreciating the other person's perspective. The entire phrase means creating a very empathetic moment. The goal is to create muy simpatico momentos at every point of interaction where a representative of the organization is interfacing with the customer. If these moments can be maximized, the value of the interaction will deepen the relationship in a way that results in repeat business, referrals, and the development of a customer for life. In this presentation, participants will learn the behaviors and the language that create these moments. Are you absolutely fed up with the results you're getting? If you keep doing the same old thing, you're going to get the same stupid results. The most successful companies in America routinely revolt, rethink, and reinvent themselves to respond to changing marketplace conditions. These are the companies that thrive because their innovations cause them to stay fresh, remain relevant, and continually respond to the needs of their customers. Many industries fear the abandonment of now obsolete business practices. They are in denial that the world has changed and the global economy has rewritten the rules for success in most traditional sectors of their supply chain. Charlie Fewell will show you the process to stage a revolt, engage your team in rethinking your entire business model, and write a manifesto that will reinvent the way you do business in the 21st century. 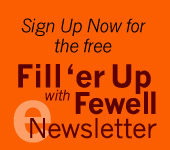 "Charlie Fewell as a speaker is phenomenal, practical, humorous, and high energy." "Charlie is a very energetic speaker... He knows his stuff and keeps the listeners interested." "I was immediately captivated by his enthusiasm, energy and expertise. I walked away from that training with information and ideas that I was able to implement immediately and brought me real, measurable results in my company. Charlie Fewell is changing the way I do business by helping me do business better." When Charlie Fewell conducts a seminar or training workshop for your group, he connects with your people in a way that rallies the entire workforce and creates buy-in for the common objectives of the management team. He works with your leadership group to identify the issues in your company that require realignment. He asks a lot of questions. When it's time for the presentation he is completely up to speed on the make or break issues that are obstructing excellent performance in your organization. He has always found success in making a personal connection with his audience because of his experience, his understanding, and his charisma. Charlie delivers seminars that get your people thinking about their role in your organization, and what they can bring to the team. He has been noted for his innate ability to uncover the latent talent inside your people. To book Charlie for a dynamic and inspirational presentation click here or call 662-895-1171 now.